Download epl 2017/18 fixtures along with time schedule and places to be played. Yes, its free to download english premier leauge 2017/2018 complete fixtures and schedules in pdf format. Complete table is also shown below but only the matches and teams name are included. For complete schedule you need to download the pdf or doc file. 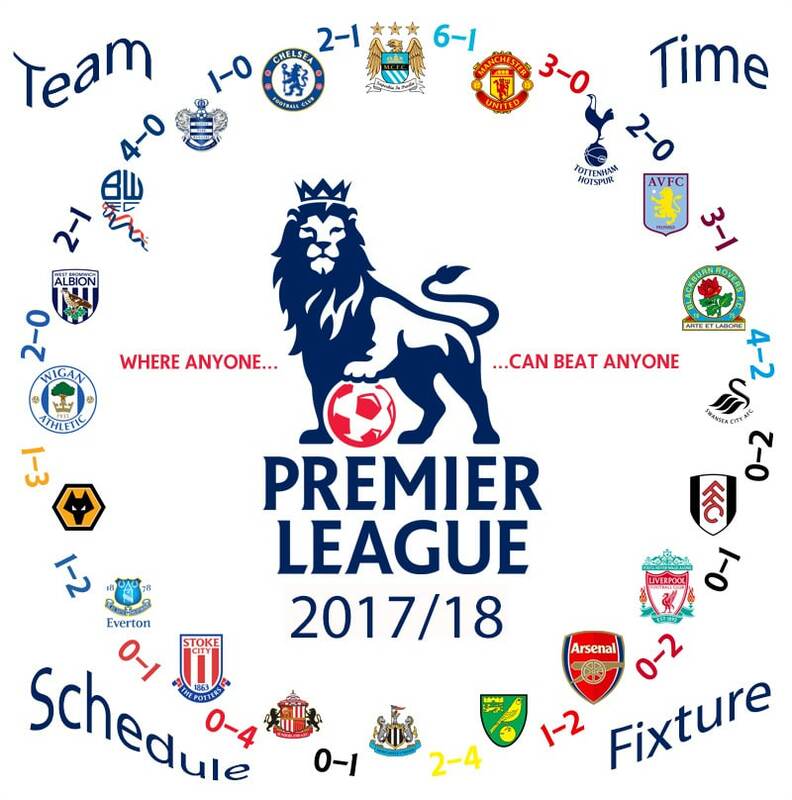 There are altogether around 380 matches schedule for this years Barclays Premier League(BPL) 2017/18. The table below shows the fixture and schedule of this years EPL i.e 2017/2018. It will start from 12th August 2017.